Las Vegas Tree Removal Pros help thousands of people around Vegas tend for their trees. Our professionals can performpruning, trimming and making sure the trees are watered and fertilized at the correct levels. We also perform cabling and bracing on older trees that homeowners prefer not to get rid of, and the list goes on. Unfortunately, there comes a time when there is only one option, and that is removing the tree from the garden. This can happen for a multitude of reasons, but it is the ultimate step and can be one of the hardest jobs any professional tree care company can undertake. This is an evasive procedure, and it is only carried out when a professional says there is no alternative. Cases, where removal is required, include root damage which is caused by concrete walls or water lines, or when the roots have invaded swimming pools in their hunt for water. If there is a tree, which is dead or dying, then removal will be advised on safety grounds. The pros from Las Vegas Tree Removal Pros will recommend whether one of your trees does, in fact, requireremoval. When trees are fully grown, they pose many more problems for removal. Branches cannot just drop to the floor, and they have to be fastened securely to make sure there are no unforeseen accidents. Las Vegas Tree Removal Pros use a variety of equipment in this scenario to make sure all the branches are removed before we deal with the main trunk of the tree. Rigging devices and cranes are used for larger items or when the tree is in a precarious position and poses a health threat during its removal. Once all of the branches and the central part of the trunk has been cut and removed safely, it is down to the job of removing the trunk of the tree, and until this is done and the roots have died, they can still cause problems. We use a variety of stump grinding machines that can remove the stump to varying distances under the ground. Once the job is finished, we make sure the area where the tree was is returned to a state where you can hardly tell there was a tree standing not long ago. 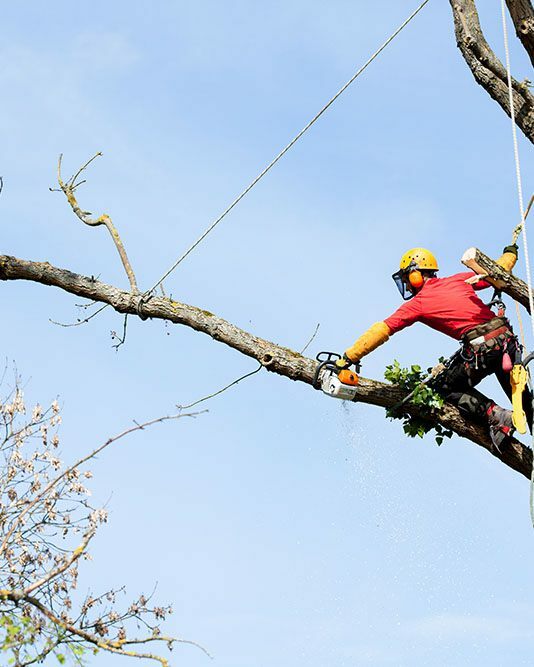 Las Vegas Tree Removal Pros love tending for trees, and as much as the homeowners who are sad to see their treasured tree removed, our professionals feel the same way in performing the removal. However, at the end of the day, there is everyone’s safety to consider, so having the best squads on the job leaves every home in safe hands.